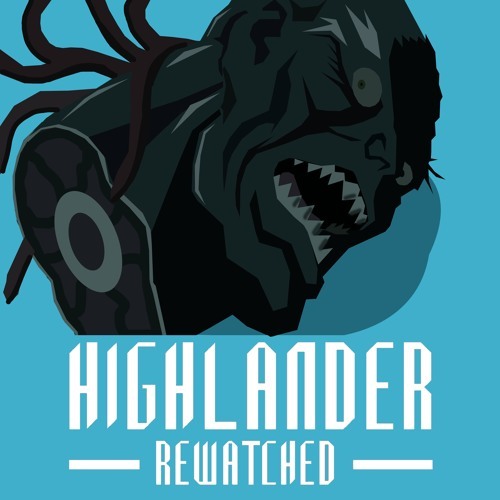 n the first exciting installment of the dystopian anime, Highlander: The Search for Vengeance, Colin MacLeod (allegedly of the clan MacLeod) crashes a BBQ hosted by a gang of demon mutants camped out in the ruins of New Jersey and then aces an immortal monster man that rides around on a six-foot chainsaw. Oh, he is also heckled by a ghost/rat/possessed baseball scoreboard that sounds like Wolverine. Yup- you read all that right! The Rewatchers take deep dive on anime legend Yoshiaki Kawajiri, unpack the initial differences between the American release versus the director's cut, and bid a fond farewell to the unholy mutants of New Jersey- we hardly knew ye.